This is Original 50 Cal. BMG US Military M-33 Ball Ammo. This ammo was manufactured by the St. Louis aresenal for the U.S. Military. This ammo is headstamped SL and was manufactured 1952. This ammo is brass cased, Boxer Primed, and 100% Non-Corrosive. 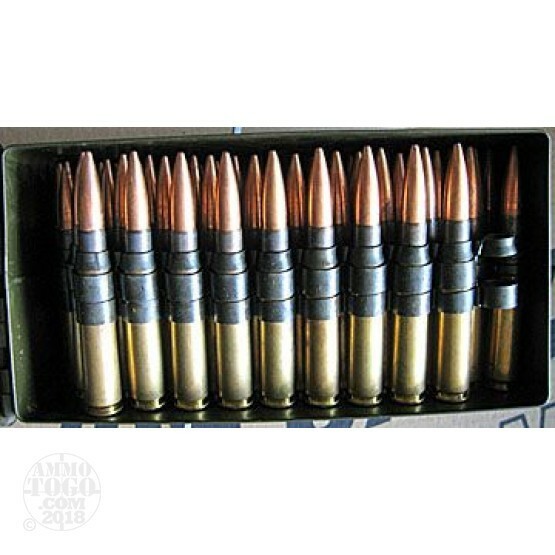 This is NOT pull down ammo that has been reassembled, it is original US Military ammo. We have a very small lot of this ammo and this was a one time deal, so when it is gone we cannot get anymore. This ammo is linked in a 50 cal ammo can.